As the Cold War came to a close in the 1990s, global attitudes towards conflict changed. The majority of conflicts during the Cold War were “regional”, involved both intrastate and interstate actors, and were located in the so-called “Third World” (nations not aligned with the United States nor the Soviet Union). These qualities made conflict susceptible to proxy warfare for the two contending blocs on the world stage, and as such, most conflicts were viewed as intractable and even inevitable, since both superpowers had a vested interest in their results. After the collapse of the Soviet Union in 1991, however, the subsequent international order created an environment seemingly fit for conflict resolution at a level previously unthinkable. Civil wars, whether they were in Latin America or Southeast Asia, were no longer zero-sum-games for global power; they were viewed as collective problems that had to be addressed with collective action (Lund 2003). In 1992, the Secretary-General of the United Nations, Boutros Boutros-Ghali, introduced “An Agenda for Peace”, a response to a Security Council request noting an “unprecedented post-Cold War opportunity”. More broadly, this report became the de facto doctrine of the United Nations after 1991: expanding the idea of peacekeeping to include “preventive diplomacy” and “post-conflict peacebuilding”. Up to this point, UN intervention into conflict zones was limited, due to frequent vetoes of more expansive action by the Security Council. The mandate of a peacekeeping mission during the Cold War was the bare minimum, to monitor compliance with a peace agreement. The new “Agenda for Peace” encouraged a vast expansion of this exercise to recognize and prevent future conflict, to rebuild norms and state institutions post-conflict, and to address the “deepest causes” of conflict (which Boutros-Ghali recognized as “economic despair, social injustice and political oppression”). Suddenly, everything from protecting safe zones to rebuilding a sovereign state’s police force to employing its people could qualify as conflict prevention. The definition expanded to include multiple actors, such as states, international bodies, or NGOs. Today, the phenomenon we call “liberal intervention” can be defined as a multilateral outside intervention (under which the UN qualifies) into an intra-state conflict to provide security (Lund). This paper will evaluate the effectiveness of post-Cold War liberal intervention, and analyze why some interventions succeed and others fail, through two prominent case studies. This paper will not examine whether such interventions are legally valid or desirable in principle. Nor will this paper analyze the level of political openness or democracy as a criterion for successful intervention; an intervention is considered successful if and only if it prevents political violence. The first case study to examine is that of Angola. The Angolan Civil War began in 1975, immediately after Angola’s successful war for independence from Portugal. Faced with a power vacuum, the two major liberation movements, the Marxist-Leninist group MPLA and the conservative group UNITA, aligned with the Soviet and US blocs respectively, turned on one another. The conflict divided Angola along ethnic and tribal lines, with the Mbundu people as the UNITA base of support, and the Ovimbundu as the MPLA base of support. The Angolan Civil War quickly became an archetypal Cold War battleground; UNITA insurgents received covert American aid and arms, in addition to ground support from South Africa, while the ruling MPLA received the same from the Soviets, in addition to ground troops from Cuba. By 1991, however, international aspects of the conflict had faded. Cuba, South Africa, and Angola signed a multilateral ceasefire in 1990, and the leaders of MPLA and UNITA signed the Bicesse Accords in 1991. The Bicesse Accords provided a framework for a Angola’s transition to multiparty democracy, with winner-take-all elections designed to cement the peace. A UN peacekeeping mission, United Nations Angola Verification Mission (UNAVEM) II, was deployed to monitor the ceasefire, and later the election. This mandate was fairly limited (understandably so, as this was before Boutros-Ghali’s “Agenda for Peace”); the only direct authority of UNAVEM II was election monitoring. UNAVEM II could not enforce demobilization (which was voluntary), monitor the new defense force, and could only monitor other Angolan monitors of the ceasefire. The mission consisted of solely 1100 personnel and a $200 million operating budget – tiny for a UN peacekeeping mission. The 1992 elections were disastrous, neither free nor fair, and provoked further conflict (Paris 2010). The leaders of MPLA and UNITA ran against one another, and the losing candidate (the leader of UNITA, Jonas Savimbi – originally a U.S. ally) contested the results, rallied his forces, and resumed the insurgency. This period of fighting from 1992 to 1994 was the worst yet in the history of independent Angola; 120,000 were killed over eighteen months, nearly half the total amount of casualties in the previous sixteen years (Alker 2001). UNITA embarked on a shockingly successful campaign, striking deep into the heart of MPLA (and ethnically Ovimbundu-dominated) territory. The humanitarian crisis that ensued was one of the worst of the decade. As a result, the United States abandoned UNITA; with the USSR’s collapse the Cold War aspect of the Angolan Civil War was over. When UNITA’s luck ran out late in 1994, its leaders agreed to another ceasefire with the MPLA government: the Lusaka Protocol. The existence of both the Bicesse Accords and the Lusaka Protocol makes for a useful comparison in analysis of conflict resolution strategies while keeping the variable of the conflict itself constant. The Lusaka Protocol differed from the Bicesse Accords in three major ways. First, it stipulated a power-sharing, coalition government, the Government of National Unity and Reconciliation (GURN), much unlike the winner-take-all elections that took place after Bicesse. Second, it gave the accompanying UN peacekeeping mission, UNAVEM III, a far more comprehensive mandate with far broader resources. Unlike UNAVEM II, UNAVEM III assumed direct responsibility of enforcing the ceasefire, the creation of a joint national defense force, and the demobilization of UNITA. UNAVEM III had 7,000 staff, 6,000 of which were armed peacekeepers, and by the end of its deployment, cost nearly $900 million, more than quadruple the budget of UNAVEM II. Additionally,, the Lusaka Protocol had flexible timetables (Rienner 1998). Military demobilization, reorganization, and the creation of GURN – all these processes were concluded months behind schedule. Despite these differences, Lusaka was not successful either. By 1999, the Angolan military was once again fighting with UNITA militants, and hostilities did not end until the death of Jonas Savimbi, the UNITA leader, in 2002. While there are many theories as to why the Bicesse Accords failed, the failure of the Lusaka Protocol casts doubt on nearly all of them. Lusaka should have succeeded if judged by scholarly conflict resolution criteria (Kornprobst 2002); and yet, despite six times the manpower, four times the budget, flexible timetables, and a power-sharing government, the outcome of Lusaka was the same as Bicesse. Those theories that do explain the failure of both accords are structural. Some scholars, such as Stephen John Stedman, argue that the conflict in Angola was unsolvable so long as Angolan natural resources – namely oil and diamonds – remained in the hands that they did. The diamond industry gave UNITA nearly bottomless coffers to draw from, and the oil industry remained largely in the hands of MPLA. Neither party was economically dependent on the other, and as such there was no incentive for cooperation. If one party has a monopoly on a valuable, exportable commodity such as diamonds, why would it ever come to the negotiating table? Another point is that Angola, like many postcolonial African states, had no unifying national identity or institutions: Angolans identified themselves as UNITA or Mbundu first, and Angolans second (Sambanis 2000). The lack of a belief in an indivisible public good meant that leaders like Jonas Savimbi would not hesitate to enrich themselves with military action, if they had the power to do so and saw no credible international action to thwart them (Stedman 1995). The second case study, El Salvador and its twelve-year civil war, is generally considered a success intervention-wise. The horrific Salvadoran Civil War lasted twelve years with 60,000 casualties, and it is a haunting memory in El Salvador and the Americas at large. The conflict began in full force on March 24, 1980, when the Archbishop Óscar Romero, a so-called “voice for the voiceless” and a Mandela-like figure in El Salvador, was assassinated by a lone gunman while conducting mass. Just one month earlier, Romero had written a plea to President Jimmy Carter to prioritize peace in El Salvador, and crucially, to end American military aid to the junta government. Tragically, it was Romero’s assassination, not his letter, that proved more representative of the immediate future of his nation. The two chief belligerents of the civil war were FMLN, an umbrella Communist guerrilla group, and the right-wing military dictatorship in San Salvador. The war is perhaps most remembered for its infamous “death squads”; militias such as ORDEN, a group famous for torturing civilians and severing ears. Outside the law, allied with the junta government, and with the goal of terrorizing the rural population, from which FMLN drew its main support, the death squads were El Salvador’s national trauma. The underlying causes of the conflict were social and economic divisions in Salvadoran society: unbelievable levels of economic inequality between a tiny landowning elite and a large rural class of agricultural laborers. Similar to Angola, El Salvador was a commodity state, with coffee as the overwhelmingly dominant export. Given the example of Angola as a failed intervention, it would follow that El Salvador, a state with an equally intractable civil war, and a similar economic and social structure, would be a recipe for another failed intervention on the part of the United Nations. And yet, the conclusion to the Salvadoran Civil War in 1992 is widely considered to be one of the most successful transitions from war to peace in the post-Cold War era, remaining in place to this day. Why did the final peace agreement and accompanying peacekeeping mission (the Chapultepec Accords and ONUSAL, respectively) in El Salvador succeed where two agreements and four peacekeeping missions in Angola failed? It is nearly certain that the peace in El Salvador would have fallen apart if not for the efforts of the United Nations Observer Group in El Salvador (ONUSAL) (Hampson 1996). ONUSAL was the only monitor of compliance in the various political and security reforms that constituted the hundreds of pages in the Chapultepec Accords, and under the leadership of special UN representative Alvaro de Soto, it acted in a way unprecedented for a UN peacekeeping force. ONUSAL bullied and cajoled government ministries and boards; it publicly embarrassed both parties if they did not accept UN recommendations; it took on roles that were nonexistent under its original mandate (Wilkerson 2008). Within a matter of months in 1992, ONUSAL became the chief organizer of El Salvador’s elections, voter registration, land reform, resettlement of former combatants, and creation of a national civilian police force. ONUSAL accomplished the vast majority of these tasks successfully, and with a peak manpower of only 4,948 blue helmets (Dobbins 2005) and a total cost of $107 million (Brown 1999). Contrast this with UNAVEM III, which included over 7,000 personnel and cost over $900 million—and failed. The success of ONUSAL may be as simple as higher quality and tenacity in its negotiating team, which was willing to be aggressive if necessary. It also differed in a key priority that was missing from the Angola case: human rights. Both sides of the conflict agreed early on that monitoring human rights abuses, documenting past abuses, and providing justice to victims were the first step to sustainable peace (Montgomery 1995). The Chapultepec Accords stipulated the creation of a Truth Commission for El Salvador to “investigate serious acts of violence that have occurred since 1980 and whose impact on society urgently demands that the public should know the truth.” The staff of the Truth Commission traveled the country, collected over 2,000 testimonies, and documented human rights abuses meticulously. ONUSAL and the Commission used these findings to facilitate restorative justice between victims and perpetrators, and to make recommendations for purges in the military and new police force. Conversely, the Lusaka Protocol and Bicesse Accords of Angola did not monitor human rights whatsoever; their mandates were solely concerned with elections, power-sharing in government, and the military. In fact, the UN special representative to Angola covered up human rights violations; in a statement to Human Rights Watch in 1995, a UN official stated that “the situation is too sensitive for serious human rights monitoring. Making public what we know could undermine the peace process and put us back to war” (Vines 1999). Whereas UNAVEM was lacking in monitoring human rights abuses and justice for said abuses, ONUSAL was proficient in both. Finally, the smaller force in El Salvador may have helped ONUSAL avoid the bureaucratic delays that have accompanied most large UN interventions, as well as the usual backlash from local citizens against the blue helmets. Of course, ONUSAL cannot act as the sole claimant of El Salvador’s success. It was the political climate of El Salvador that allowed for the Chapultepec Accords in the first place. Salvadorans overwhelmingly supported the peace process and ONUSAL regardless of their politics. A 1987 poll showed 83 percent of the national population supporting an end to the war through negotiated settlement (Call 2002). Citizens of El Salvador were extremely conscious about judicial independence and human rights, and by 1995, public figures were no longer afraid of coming to one another’s defense if blackmailed or silenced (Montgomery). Additionally, the military situation on the ground had convinced both parties that outright victory was impossible. In 1989, FMLN surrounded San Salvador for the first time, and appeared close to victory, although they were eventually pushed back due to a lack of civilian support within the capital. This near loss left the military government shaken, and as for FMLN, it was perceived the group would never reach the level of popular uprising it had hoped for (Wilkerson). This is a key and perhaps obvious difference between the beginnings of the peace processes in Angola and El Salvador: both parties in El Salvador genuinely wanted peace, even if that meant an outcome other than outright victory. The ceasefire enacted after Chapultepec was not broken once. By contrast, the parties of the Angolan Civil War had nothing to gain from peace; they already had monopolies over their respective industries. Therefore, they entered agreements to gain short-term advantages but with the understanding that eventually, they would scuttle them (Stedman 2002). There were other structural factors at play in El Salvador that may have allowed for a successful transition. Unlike Angola, neither belligerent possessed a monopoly over the commodity good in El Salvador. While coffee processing areas and ports for exportation were largely controlled by the government, FMLN had broad control over coffee plantations in rural areas; thus, the nature of the industry ensured economic dependency between the parties. Secondly, El Salvador had a previous tradition – a rocky tradition, but tradition nonetheless – of parliamentary democracy and democratic institutions, and had a long history as an independent nation. Angola had no time between independence and civil war to foster a national or democratic tradition. Yet the contrast of Angola and El Salvador still implies several conclusions about how and why interventions succeed or fail. It appears that the success of an intervention depends on multiple factors, none of which are sufficient on their own to ensure peace, and that the failure of an intervention can be due to just one factor. There are several conditions that are necessary, but not sufficient, for peace to occur. First, both parties must have a genuine desire for peace. This may seem an obvious conclusion, but it provides the corollary that to attempt intervention into a civil war between two parties who have no real interest in peace will always be futile, regardless of the resources committed to said intervention by the UN or any other body. Second, the intervention force in question must be efficient and its leaders must be first-rate and assertive. 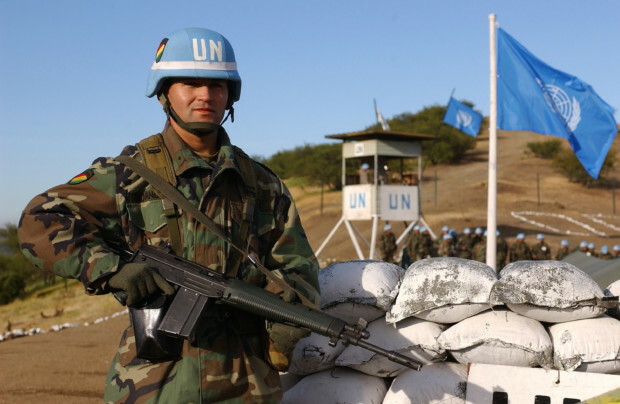 Quite counterintuitively, the experiences of the UN in Angola and El Salvador suggest that peacekeeping missions with fewer personnel will be more successful, as this incentivizes logistical efficiency and minimizes waste. Third, there must be some form of economic interdependence between the belligerents at hand. For example, MPLA and UNITA had their own foreign patrons and then their own resources from which to draw, and therefore could only lose economic power by relinquishing control, not gain it. Fourth, human rights monitoring must be a part of the mandate of the peacekeeping force at hand, and coming to terms with past abuses and administering justice must always remain a part of the transition post-conflict. Fifth, security-sector reform measures must take place. These were best implemented in El Salvador and partially so in the Lusaka Protocol: a demilitarization of the police force, integration of former combatants into said police force, and a dissolution of armed organizations that exist outside the law. The latter measure ensures that former combatants fight on the same side, and a clear line between the military in the sphere of external defense and the police in the sphere of internal defense prevents abuses. With these conditions met, a third-party intervention into an internal conflict can bring peace and stability. Of course, it is entirely possible that all five are met and the intervention is still a failure. However, policymakers should not take such a result as evidence for the ineffectiveness of third-party intervention. It is possible that intervention may have been the best option available, that the situation at hand was unsolvable, and that the absence of intervention would have been even worse. Put simply, it’s hard to end a war. In a study of 124 civil war cases since 1945, 43% were determined to have ended peacefully of their own volition. UN interventions only require a success rate above 43% to be considered more helpful than not. Dobbins, J. et al. (2005). The UN’s Role in Peacebuilding: from the Congo to Iraq. RAND-Initiated Research. Hampson, F. (1996). Nurturing Peace: Why Peace Settlements Succeed Or Fail. Washington, D.C.: USIP Press. Kornprobst, M. (2002). Explaining Success and Failure of War to Peace Transitions: Revisiting the Angolan and Mozambican Experience. The Journal of Conflict Studies,22(2). Retrieved December 13, 2017. Lund, M. (2003). What Kind of Peace is Being Built? Taking Stock of PostConflict Peacebuilding and Charting Future Directions. Center for Strategic and International Studies, Washington, D.C.
Montgomery, T. (1995). Getting to Peace in El Salvador: The Roles of the United Nations Secretariat and ONUSAL. Journal of Interamerican Studies and World Affairs,37(4), 139-172. Paris, R. (2010, April). Saving Liberal Peacebuilding. Review of International Studies, 36(2), 337-365. Sambanis, N., & Doyle, M. (2000). International Peacebuilding: A Quantitative Analysis. American Political Science Review,94(4), 779-801. Wilkerson, M. (2008). Security and Democracy in El Salvador: An Undeniable Connection. Stanford Journal of International Relations,10(1), 32-41. Vines, A. (1999). The Rise and Fall of the Lusaka Peace Process. Human Rights Watch.